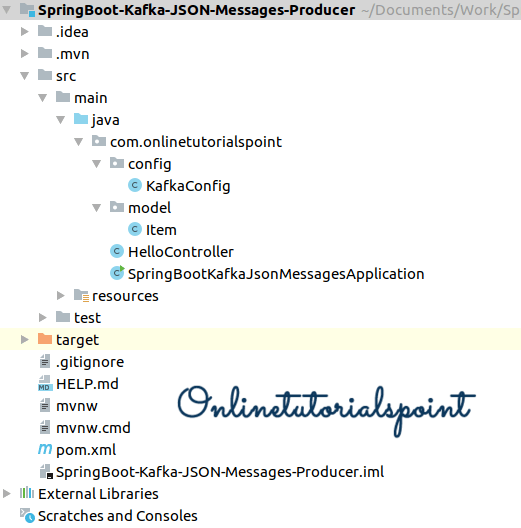 How to Send Spring Boot Kafka JSON Message to Kafka Topic ? 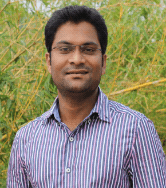 Here we will see how to send Spring Boot Kafka JSON Message to Kafka Topic using Kafka Template. We can publish the JSON messages to Apache Kafka through spring boot application, in the previous article we have seen how to send simple string messages to Kafka. To run the application, you have to have Apache Kafka installed on your operating system. I have provided a couple of articles which helps you to install Kafka on Windows and Ubuntu operating systems. After successful installation, you should have to start the zookeeper, Kafka servers to connect from spring boot application. On the above we have created an items-topic from Kafka cli, now we are going to send some JSON messages to items-topic using KafkaTemplate through Spring Boot application. This class represents a JSON message to sending messages to Kafka topic. Since we are going to send JSON messages to Kafka topic, we have to configure the KafkaProducerFactory with JsonSerializer class. The default configuration for KafkaProducerFactory is StringSerializer, so we don’t have to configure this to send simple messages to Kafka topic. ProducerConfig.BOOTSTRAP_SERVERS_CONFIG tells Kafka IP address and port “127.0.0.1:9092. Currently, I am going to use my local Kafka so that it 127.0.0.1 and the port is 9092. Note: You can find this config information at Kafka/config/server.properties file. ProducerConfig.KEY_SERIALIZER_CLASS_CONFIG tells the type of key which we are going to send messages to a Kafka topic StringSerializer.class. It a simple rest client having one post method which will send JSON message to Kafka topic (items-topic) using KafkaTemplate. Access the application from the postman and make a post request. We can see our JSON message on the Kafka consumer console whether it consumed or not.